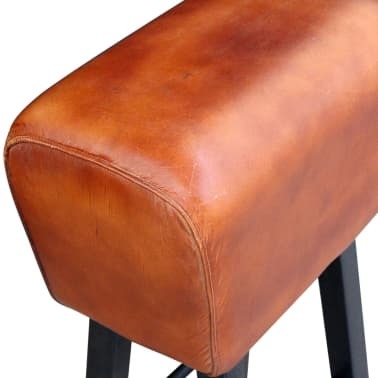 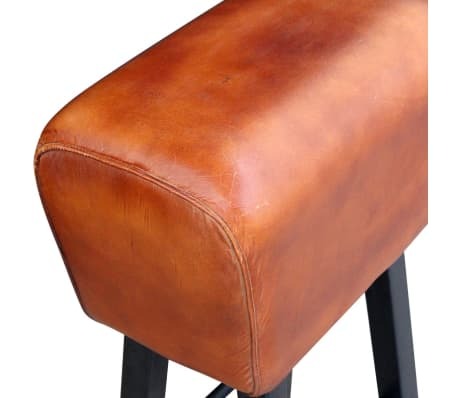 This soft and comfortable real leather stool has an iconic look, in keeping with the industrial style that's all the rage right now. It will look great not only in restaurants or bars, but also in your hallway, living room or dining room at home. 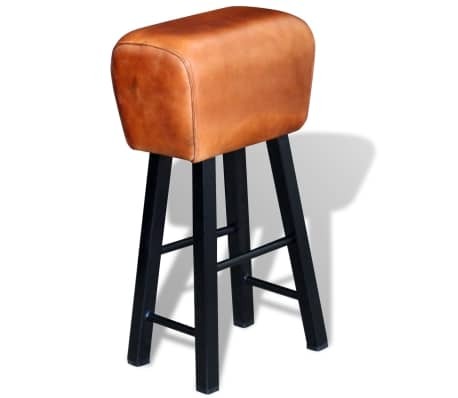 The unique design is reminiscent of vintage school sports. 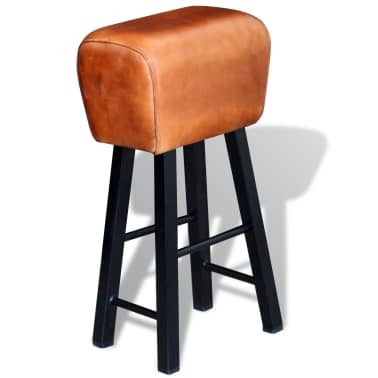 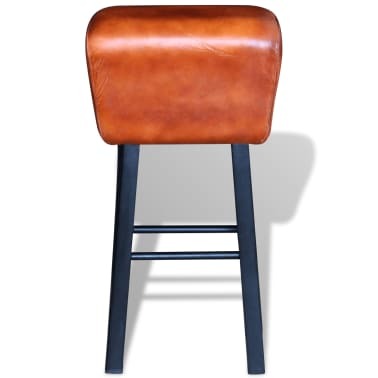 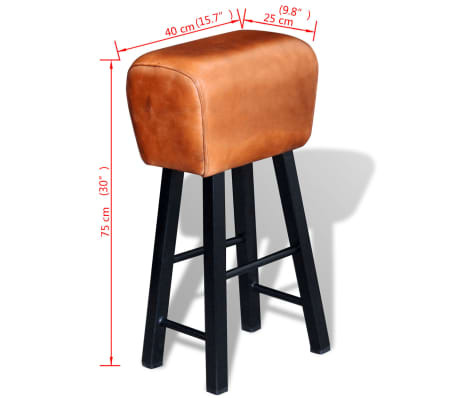 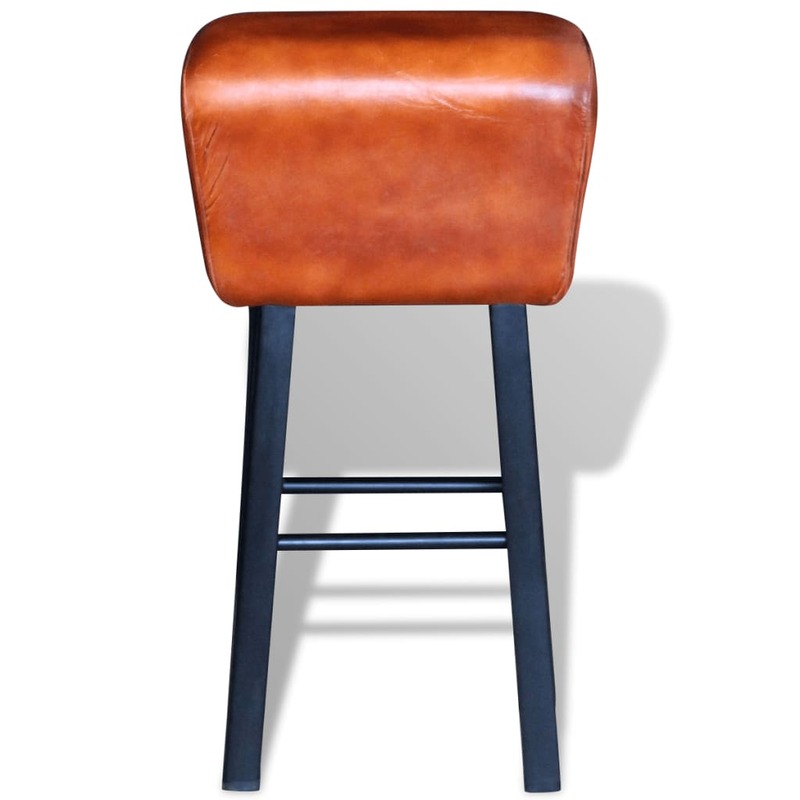 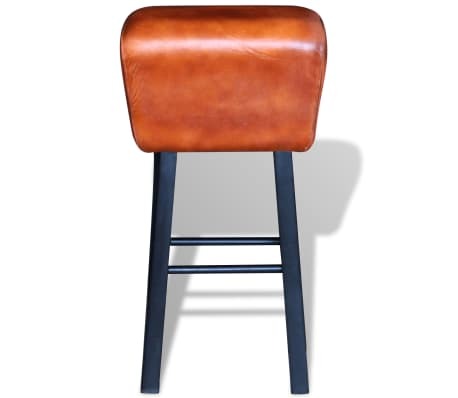 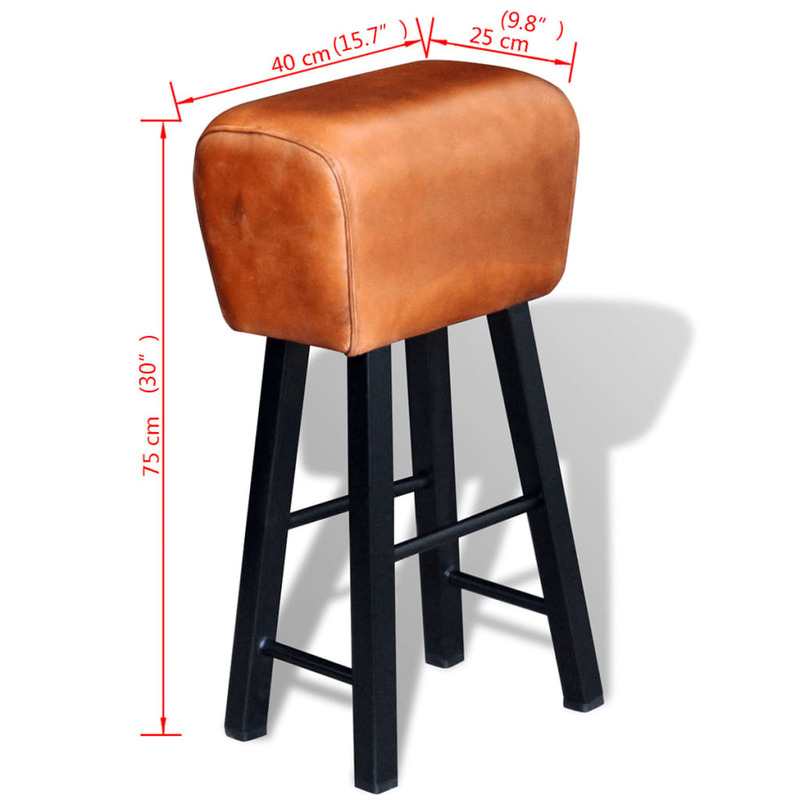 The upholstered genuine leather is soft to the touch and makes the stool extremely durable. The padding makes for a comfortable seating experience, while the solid iron legs make the stool stable and durable.